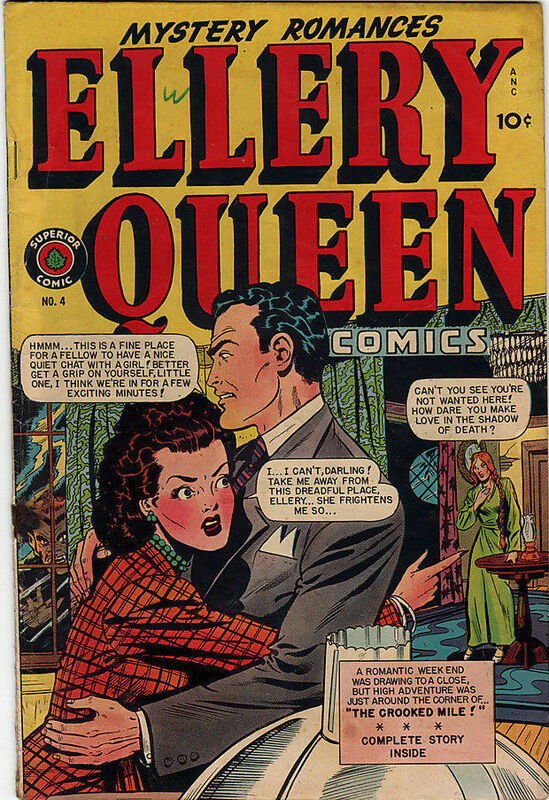 Ellery Q ueen was off the radio, out of Hollywood, and no longer in comic book print. 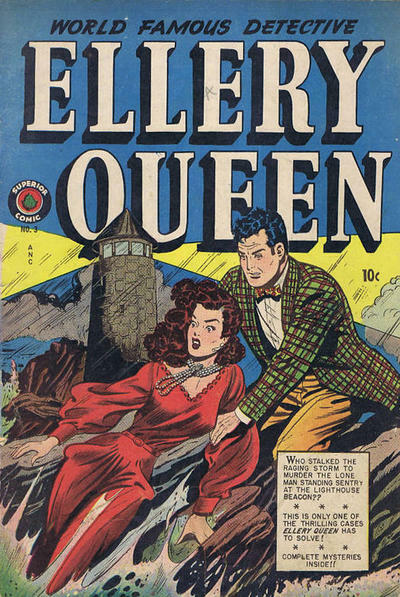 Then, in early 1949, Superior Comics published four issues of an Ellery Queen comic. 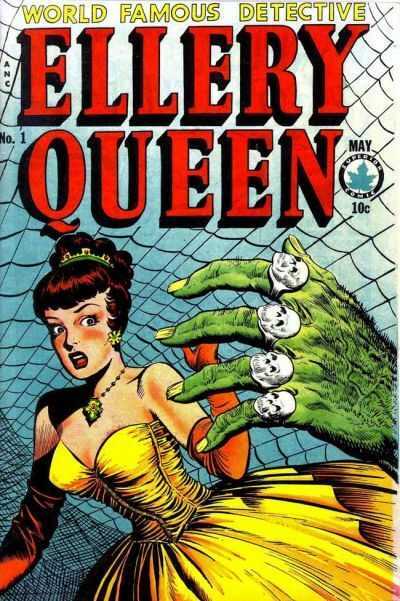 Superior was a Toronto-based company which lasted between 1945-1956 and specialized in reprinting U.S. comics for the Canadian market. They also published a few originals. The art and stories were produced by the Iger shop in New York. From 1936-1939, Samuel Maxwell (Jerry) Iger (1903-1990) and Will Eisner (1917-2005) ran a comic producing studio, and then Iger ran it as the S.M. Iger Studio through 1955. The interior art on theses four issues is by unknown artists, but the cover of the first issue was delineated by Jack Kamen (1920-2008), who would find his highlight as one of the legendary artists of E.C. comics.